“Known simply as “raptors” in the film, Velociraptor was portrayed as a person-sized, terrifyingly fast and vicious predator that tormented the unfortunate Sam Neill and his Hollywood co-stars. 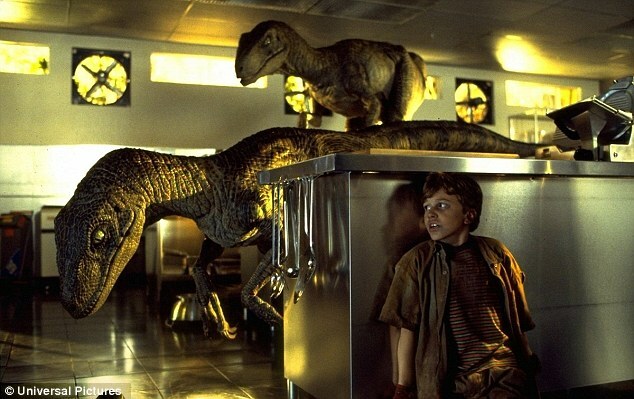 A star was born (Velociraptor, not Neill) – but the portrayal was inaccurate, both in terms of size (in reality, Velociraptor stood barely half a metre high), and its lack of feathers (“quill knobs” proving that Velociraptor was feathered were overlooked until 2007 when they were discovered on the forelimb). Size-wise, and in terms of its large sickle-shaped talons on each foot, the dinosaur in the film is more like Velociraptor’s larger dromaeosaurid cousin, Deinonychus (although it too was a feathered theropod). The new film Jurassic World (2015), which came out much later offered an opportunity to rectify the situation. 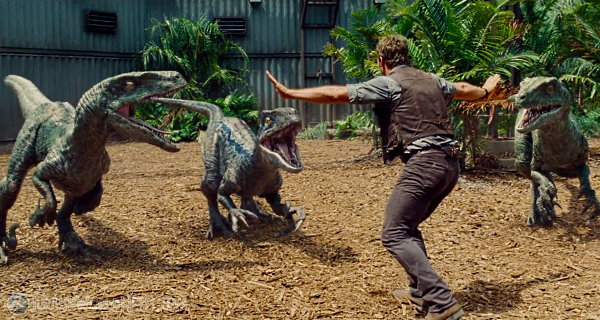 However, the raptors were such central characters to audiences that in the making of Jurassic World the same raptor aesthetic from the original was kept. Fiction allows for these liberties to take place. Horner explains they did this by building into the story that the scientists used DNA from other animals to cause slight mutations. Voila, a little sleight of hand from the Hollywood film makers allowed the newly invented images to seem both plausible and realistic. The social construction of dinosaurs is not lost on all characters in the Jurassic Park film, as Henry Wu, lead scientist, states: “nothing in Jurassic World is natural, we have always filled gaps in the genome with the DNA of other animals. And if the genetic code was pure, many of them would look quite different. But you didn’t ask for reality, you asked for more teeth.” Wu’s point? The dinosaurs you see are not objective representations of the dinosaurs of the past, but rather of what we imagine, what we want, and most importantly for cinematic appeal ­– what scares us. While I am still reading and digesting the book, it brings to light how our social relations are entangled in the very ideas and notions of what constitutes a dinosaur for us today. 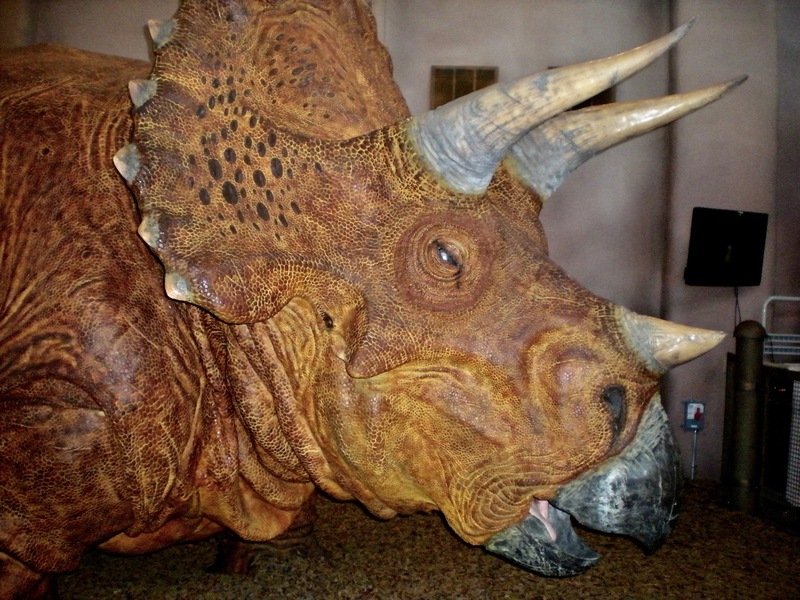 The dinosaurs we see today in films and even in museums are not necessarily objective representations. What I have enjoyed most about the book so far is that the theoretical underpinnings are helpful for understanding other thematic areas and a broad array of topics — such as my own interest in the study of religion. The things we often find catalogued as religions are not necessarily objectively categorized, but instead are a social construction embedded in relations. As has been discussed on this blog and in many other places, it is the very naming of something religious that legitimizes and substantiates particular ideologies, movements, organizations, leaders, and interests. One must then consider who is involved in said naming and recognize that we (particularly the scholar) are the authors of its (religion’s) becoming and that “religion” is our story – from us, made by us, a part of us ­– not something autonomous. What will be interesting Jason, is to see how you put this to work in regard to writing / research on religion, spiritual experience, etc. Any specific thinking in that direction? Very glad to see the work is stimulating this kind of turn for you. 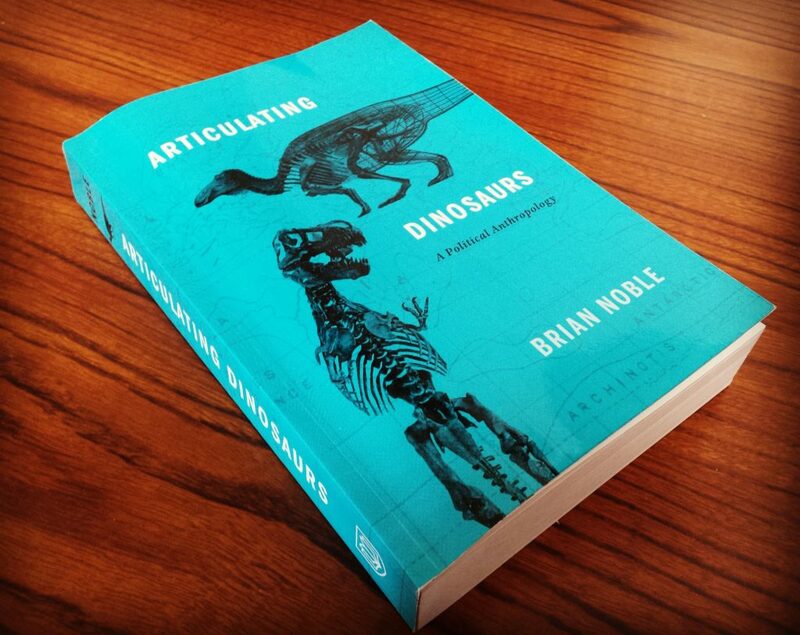 Thank you for the note Brian!, And to answer your question, yes – I hope to extend on the thought in this post at some point in a longer piece that deepens the latter aspect of the making of “religion,” while still staying grounded in the example I use here that is helped by your theoretical frame in Articulating Dinosaurs.